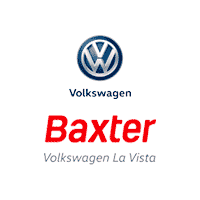 If you’re looking for a new Volkswagen SUV or new Volkswagen sedan that’ll help you save, take a trip to Baxter Volkswagen La Vista. At our Volkswagen dealership in La Vista, NE, we have an ample new car inventory, and we’re confident you’ll find exactly what you need. From stylish sedans like the Volkswagen Jetta and Volkswagen Passat to safety-focused new SUVs like the Volkswagen Tiguan and Volkswagen Atlas, we have brand-new Volkswagen models that you’re bound to love. Browse the new Volkswagen special offers available at our Nebraska Volkswagen dealer to find a new Volkswagen sedan or SUV that fits your budget and lifestyle. Contact Baxter Volkswagen La Vista with any questions, then stop by our La Vista, NE, Volkswagen dealership to take advantage of our new Volkswagen specials. We hope to see you soon!